Immediately to the east of the viaduct is a modest interchange yard with the CPR. Space restrictions required that I build this yard on the curve, though the prototype is indeed straight. Today that yard is used by Trillium Railway and the diamond has been removed. The model diamond was built using a Fast Tracks jig. Along the right of way there are a number of large steel viaducts that bridge the ravines and creeks that flow into Lake Erie. One of the largest is located is located just to the southwest of Tillsonburg. At nearly a kilometre long it is something to behold. 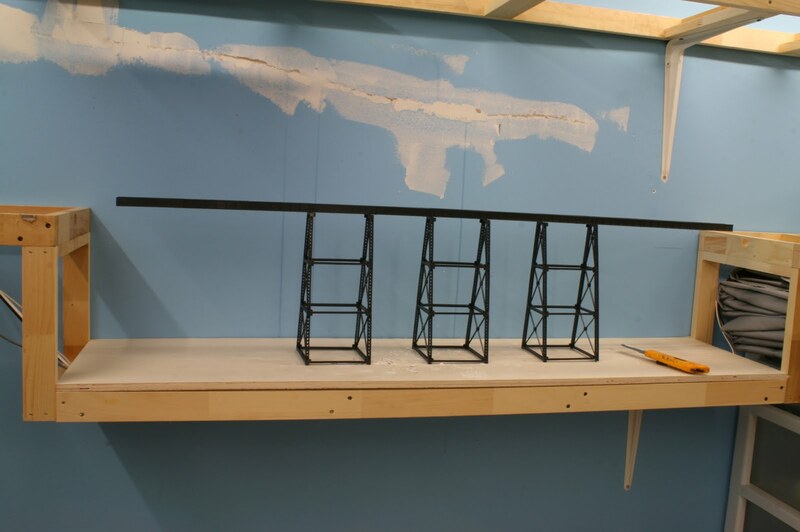 Space restrictions required that I could model only a very short portion of the bridge. At a little over 4' in length I'm pleased with the results to date. I used Micro-Engineering kits for the bridge components. 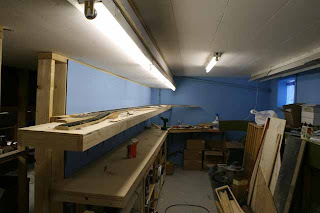 The abutments were cast up from field measurements of the prototype and the footings were purchased from ModelRail Stuff. The actual model will not be fixed into place until all of the scenery and backdrops work is done. Red Ball #82 east bound overtakes Mixed #356 at Aylmer. 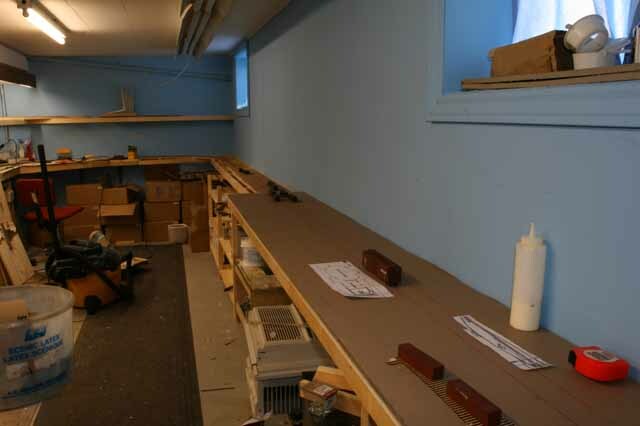 The first station being built on the layout coming out of the westend staging is Aylmer, Ontario. This little town hosts the coaling plant that was used up until the line was dieselized in 1951. 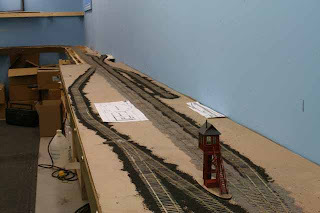 All the track is handlaid. 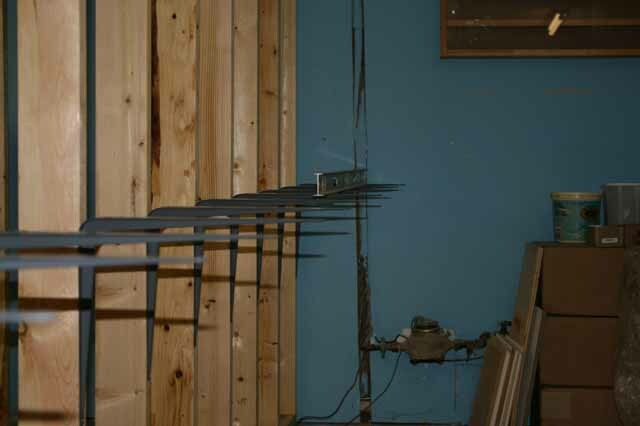 And all the turnouts are built using the FastTracks system. All the turnouts are controlled using Fast Tracks newest product, The Bullfrog. 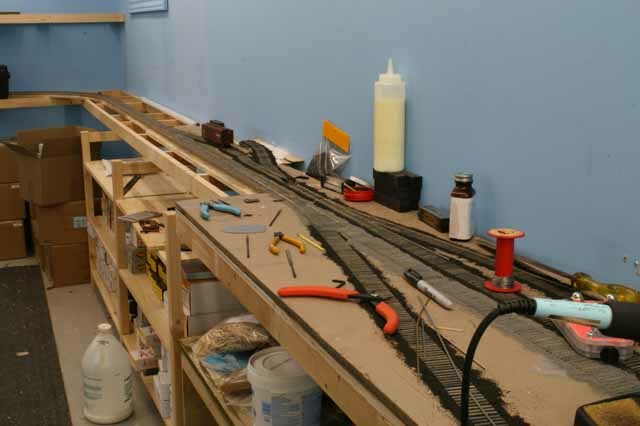 The train shown is the first trains run on the layout on July 29, 2009 after an excellent work session with some of my buddies. 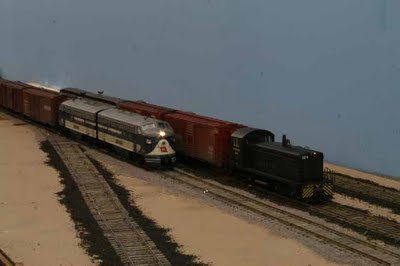 My HO scale Wabash Railroad is built on two levels, connected by a helix. 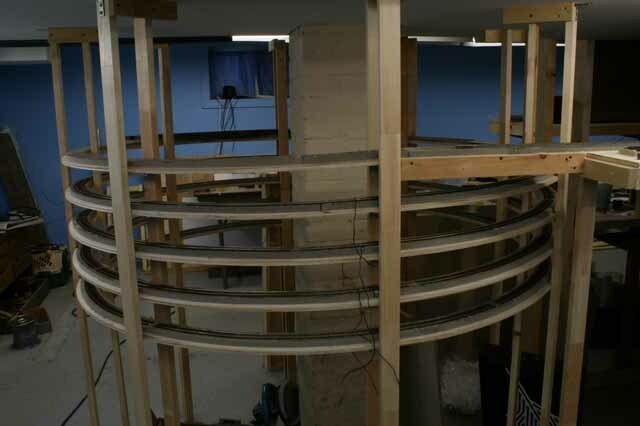 The helix is a 30' radius with 4" between levels which gives a grade of just over 2%. Construction is straight forward. 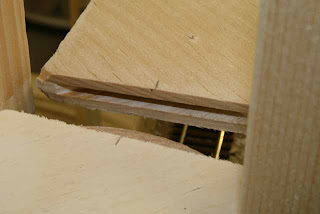 A series of plywood arcs were cut and slots cut in the ends for a biscuit joiner. 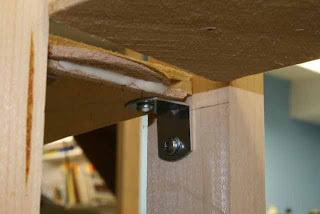 The roadbed is Homasote ripped to width and slotted to allow it to be bent to the desired radius. A series of 1 x 2 verticals have small angle brackets screwed on at the correct elevations and the roadbed is laid on top. 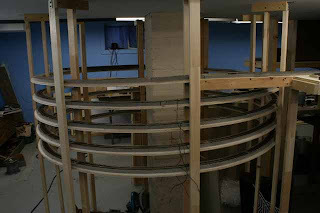 Track is laid as the helix progresses. The helix and the staging yards are the only commercial track being used. 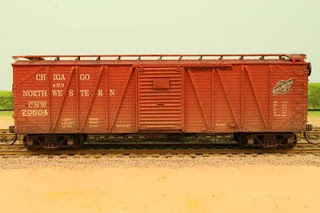 My new layout is based on Wabash Railroad operations in Ontario, Canada during the 1950s. Building a new layout is an adventure. Particularly when an old layout is in the way. 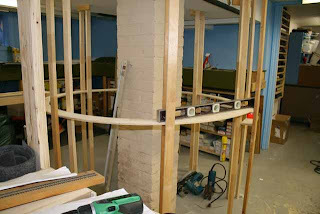 Some clever planning was required to get things to a point where work could progress forward. 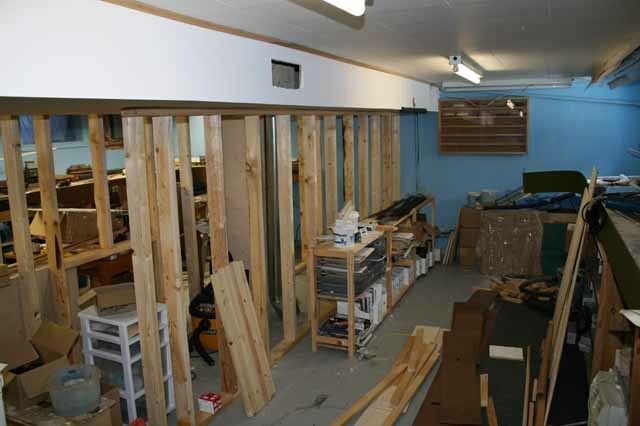 2 new walls were built to support the layout sections in the middle of the room. 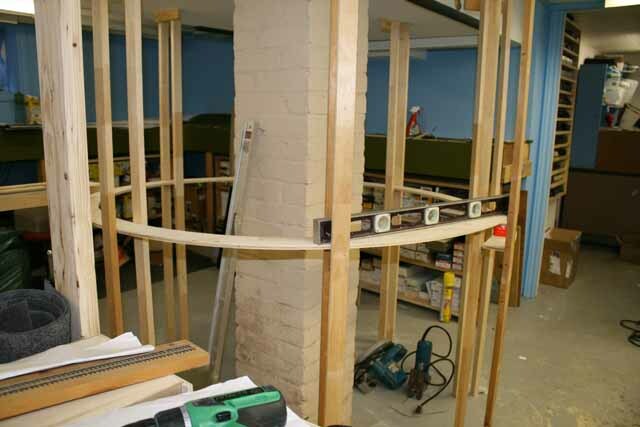 The layout levels are all supported on commercial shelf brackets. A fast and simple solution. 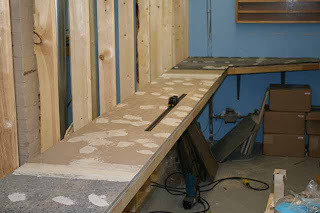 The basic benchwork is then a 1 x 2 framework which rests on top and then 1/2" plywood subroadbed and Homasote roadbed. 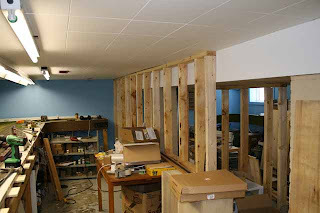 Here are some photos from the construction phase. In the fall of 2008 I had the privilege of being able to visit Bill Darnaby’s layout, The Maumee Route. The experience had a profound effect on me and caused me to rethink everything I was attempting to do in my own layout building adventures. After some careful thinking about options of basement space, prototypes and locales, I settled upon modeling something that was in my own backyard. 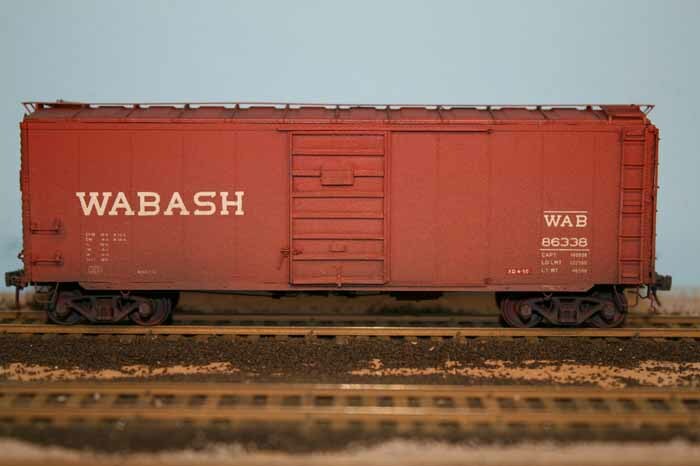 The Wabash had a significant operation across Ontario that was just begging to be modeled. 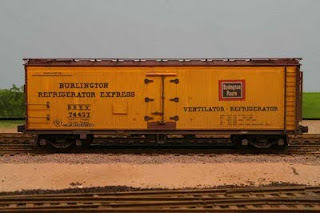 I’ve decided to model the Buffalo Division from Aylmer east to Cayuga in HO scale. 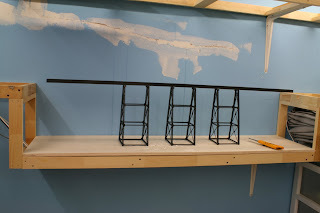 By building a two level layout, I will be able to model a number of the towns along the route as well as signature locations like the Tillsonburg viaduct. 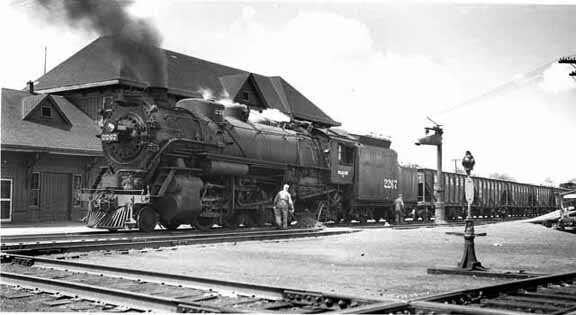 A portion of the main is shared with the Hagersville Sub of the CNR. Since I’m modeling 1951 it will be neat to see the little CNR Moguls beside the Wabash paired F-7 lashups. That previous paragraph was the original intro to this blog. 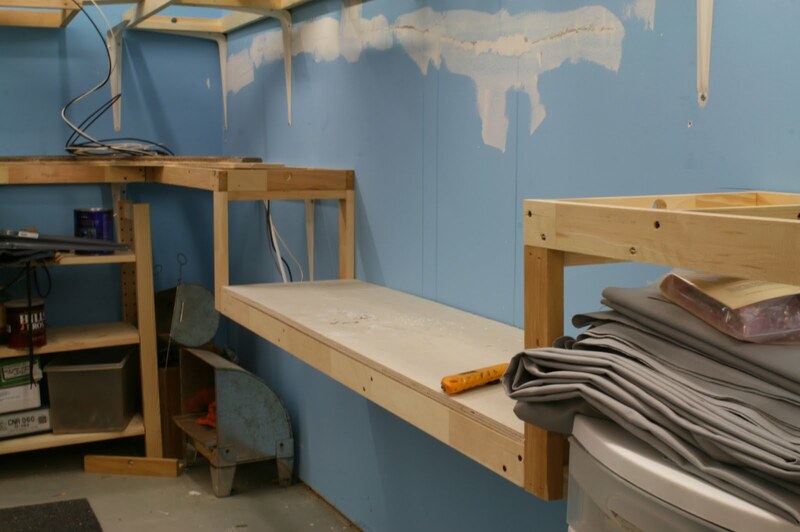 In 2015 we moved into a new home and the old layout was demolished and a new one begun. 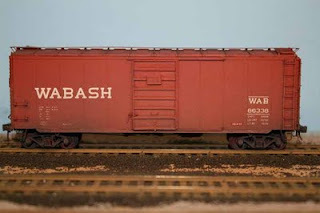 Still modeling the Wabash, but now with more emphasis on the operations in the yard in St Thomas. I’ll be posting construction photos as work progresses. Thank you for visiting! To see many more, visit my full Gallery.